You’ve made the decision not to kill time trolling around on a personal Facebook account, sharing your personal details with the world. In fact, you’ve never even glanced at Facebook. But you’re vaguely aware that you can’t go on pretending that social media marketing doesn’t exist. Having a Facebook page for your business could help your numbers, you figure. So what do you do? Do you bite the bullet and learn how to navigate social networks? Or do you trust one of your undergraduate interns to start a page for you? Breathe. There’s a way you can maintain control of your own Facebook page without relying on someone else or opening up your life for all to see. Select the kind of business you are. If you’re not sure which category best fits your company (“Local Business or Place“ or “Company, Organization or Institution”), click on each square and figure out where you fit in from the pull-down menu descriptions. If you’re a business that relies on local foot traffic, definitely select “Local Business,” because it offers a map of your location. If you’re web-based or national, choose another page type. You can change your category later, so there’s no need to spend too much time obsessing over this right now. Follow the next steps, creating your profile for your page. Enter pertinent information, such as your address, your business hours, and a quick description of what kinds of services or products you provide. You can get more in-depth later, after you’ve gone through this initial part. The last step asks you to start advertising your business on Facebook, but feel free to skip that step for now and just focus on completing your profile and building your content. 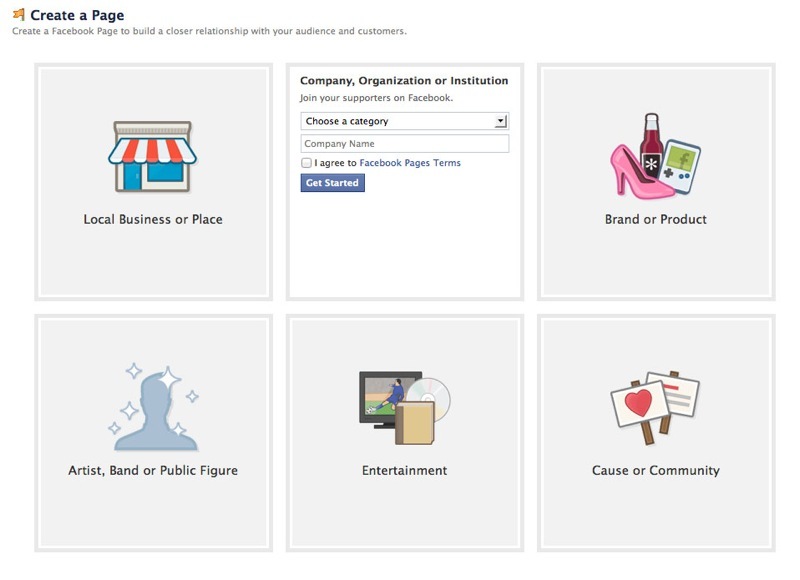 Start adding pictures of what your business does and telling people about your page once everything is in place. Now you’re ready to start helping your business grow with Facebook. Good luck!